For all you wacky wicked ones who love to party or just want to go somewhere to chill, play or have a chat, our Events page will give you some ideas of where to go. We’ll update the page regularly when events come in. We’ll post a mixture of fetish and trans events plus anything else that’s interesting. The hotel has a wonderful atmosphere and it’s a good place to relax, party and make new friends. The staff are brilliant and make you feel at ease. Partners, friends and family members are welcome. A separate cocktail bar for those who like to chat. Trade stands to satisfy the shopping bug. Full events programme sent to all guests prior to event. £200 per person. Per weekend. Come along to the LAM and explore the wonderful delights they have to offer! 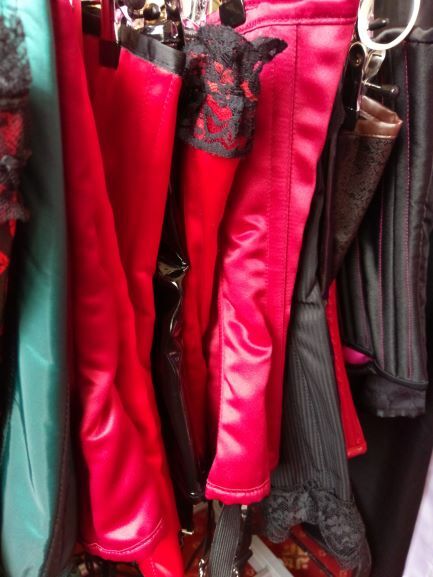 Got a fabulous selection of stalls this month selling everything from corsets, latex, leather and feathers to floggers, paddles, collars and wax. Come and get your perfect fetish outfit or a fantastic new toy! They also have a wide range of food available at the bar along with a great wine and cocktail list. The Market opens at 12pm and closes at 5pm. Market are just £5 before 2pm and £6 after. This Event is held on the third Friday of the month. There is an upstairs adult play area, a downstairs bar where drinks are on a voucher system and a lounge area to chill out and mingle. There is normally background music going, selected by the lovely ladies. Its about 30 min from london, near maidstone, just behind the M2 services in secluded woodland. There is off road parking, you can change in the venue. You could use the toilets, which are a bit cramped for the purpose, or use upstairs. Just ask the staff to turn the lights up for you. Is still best to use the ladies loo to do your makeup, the light is the best and mirror is huge. This is a regular event which is great for us gals who can’t always get to London. Doors open 9pm to 2am ……£10 addmission, bar vouchers a pound each. Check out their facebook page or their website for more details. Great way to met your fellow kinksters for a friendly chat over a drink. Friendly staff and atmosphere. So way not come along and met some very nice like minded people. It’s starts from 7pm onwards. For the location of the pub go to Ye Olde Thirsty Pig Facebook page. This Event is held on the last Friday of the month. There is an upstairs adult play area, dungeon to punish the subs who are naughty and a downstairs bar where drinks are on a voucher system and a lounge area to chill out and mingle. There is normally background music going, selected by the lovely ladies. Its about 30 min from London, near Maidstone, just behind the M2 services in secluded woodland. There is off road parking, you can change in the venue. Fetish market that brings quality fetish suppliers together under one roof in Birmingham for you to have an afternoon of pervy shopping and enjoyment. So come and socialise, browse and enjoy the demo/workshop. Also have Sunday Lunch and peruse quality fetish products from some of the best fetish vendors in the uk. For more detailed information go to their website or their facebook page for more details. A luxury pop-up shopping event for those that like to live on the other side.